The School of Art at Montana State University is pleased to announce the exhibition “East Meets West: Art exhibition Featuring up and Coming Chinese Artists, III” at the Helen E. Copeland, located on the second floor of the School of Art in Haynes Hall, Bozeman MT. The show will be on exhibit from August 5th – 11th, 2016. The Public Reception is Friday, August 5, 2016, 6:00 – 8:00 pm and will be free and open to the public. Refreshments will be served. On view will be work from 20 up and coming Chinese artists, curated by School of Art Director, Vaughan Judge, and 188ArtWarehouse founder, Zhuping Yan. Once again, in conjunction with YESPI, Montana Arts Council, 1888ArtWarehouse, China Contemporary Art Research Institution, Yellowstone Asia Initiative, and China Daily Media Station of North America, MSU School of Art welcomes over 20 Chinese artists to exhibit their work in the HECGallery. Many of these artists have traveled oversees to see the exhibit, and are also taking a tour of the attraction of Montana, including Yellowstone, Helena, the Gallatin National Forest, and the Archie Bray Foundation. In September, numerous American artists will travel to China as part of this partnership, taking in Chinese treasures, such as The Great Wall of China. In addition, there will be an Art Auction on Thursday, August 4th, 4:00 – 6:00 pm, at the newly opened Style A Gallery at 31 South Willson St. Bozeman. Up for auction will be Chinese ink paintings, oil paintings, prints, and porcelain forms. We welocome you to both events as East meets West in the arts. The HECG is located on the second floor of Haynes Hall, across from the duck pond on 11th Avenue on MSU campus. Please note that the parking passes are required for parking during the business day (9AM – 6PM). HECG Hours: Monday – Friday, 9AM – 5PM / Closed on weekends. 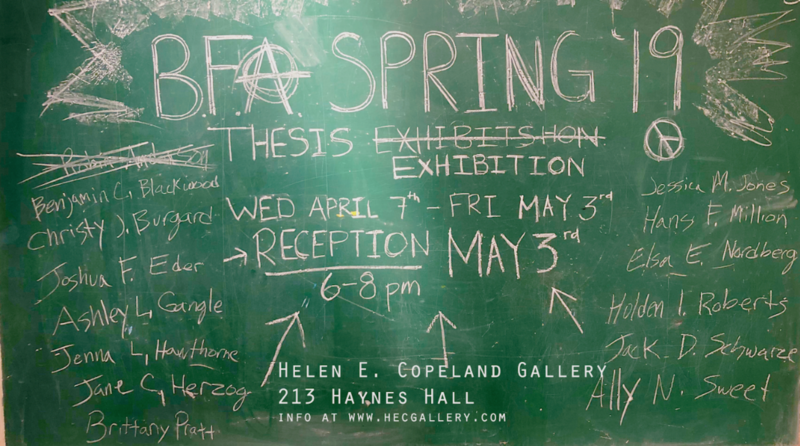 For more information on this exhibition, or on the Helen E. Copeland Gallery in general, please visit http://hecg.worpress.com or follow us on Facebook (http://facebook.com/msuhecg).